The New Forum works to create a vibrant, inviting space for UCI’s undergraduate writers. We invite writers of all backgrounds to share their work with us. This journal publishes a quarterly journal. We accept student-written poetry, fiction, non-fiction, and artwork. Our events throughout the quarter include a launch party for the newest issue, open mic nights, and poetry readings. 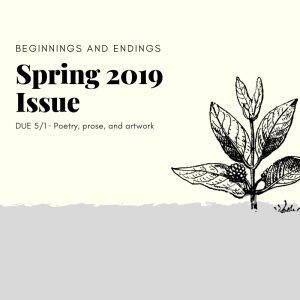 New Form, UC Irvine’s Undergraduate Literary journal, invites you to submit your writing for publication in our upcoming Spring 2019 issue. 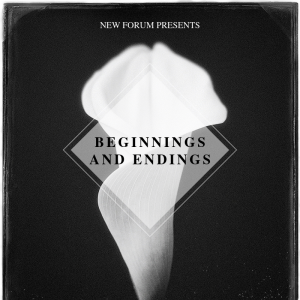 We welcome any writing that explores the theme “Beginnings and Endings,” in any any capacity. 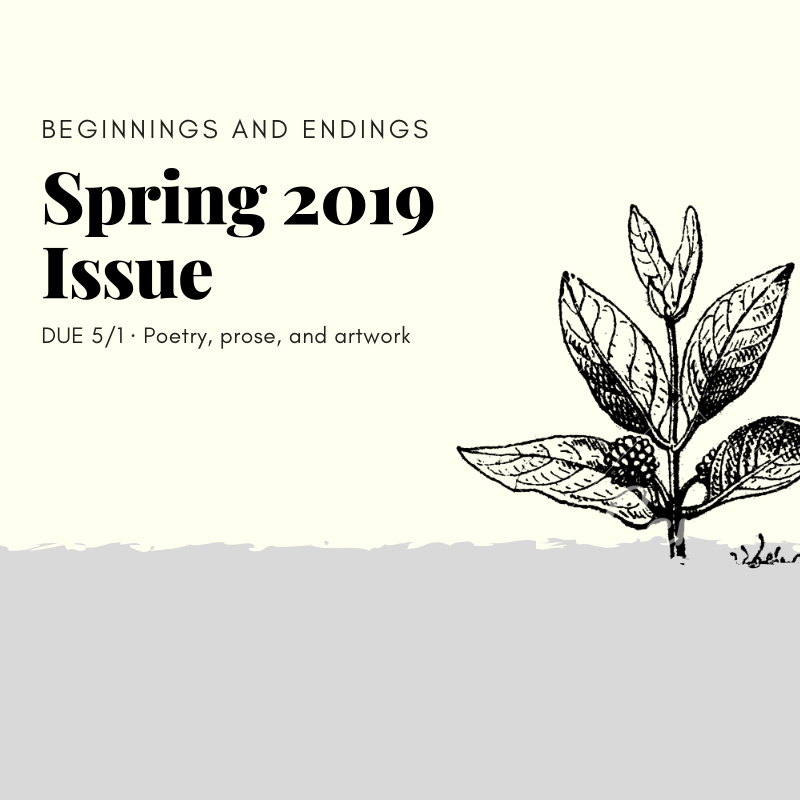 Poetry, fiction, and non-fiction are all accepted. Submit here to submit writing, and here to submit artwork! Are you interested in becoming part of the New Forum team? 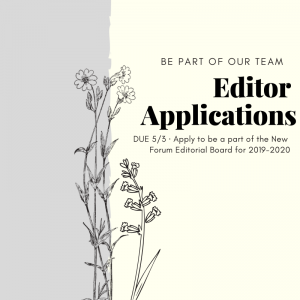 We are accepting applications for our editorial board! Help us plan our events, publish multiple issues, and enliven the force of creative writing on the UCI campus. Check out our application here! 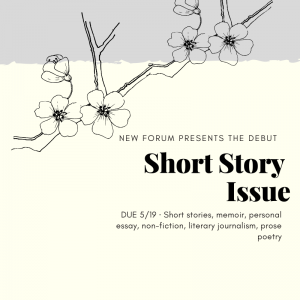 New Forum is publishing its first prose-only issue! 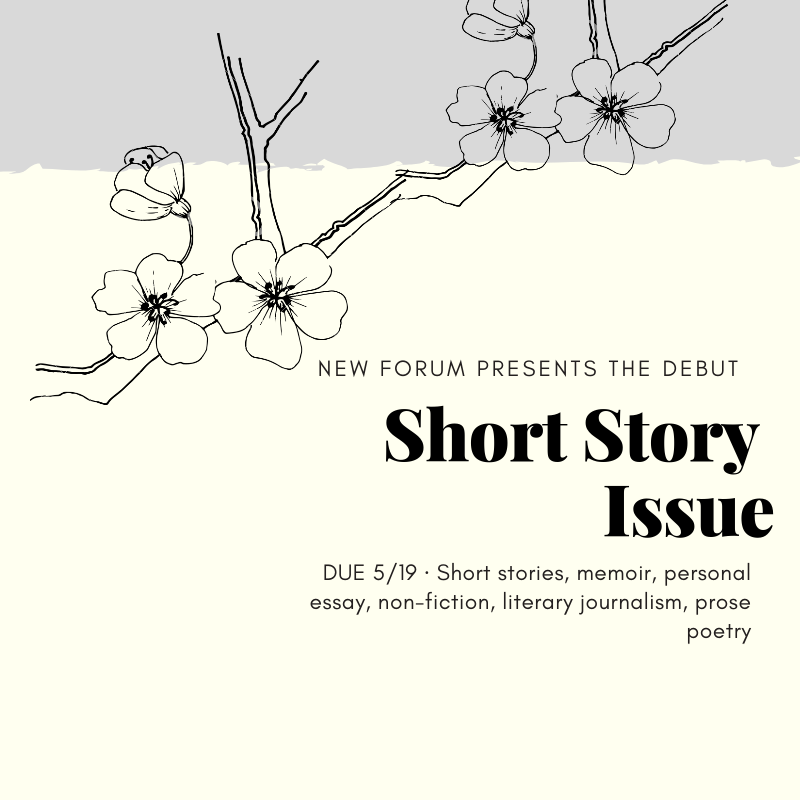 This issue will include fiction, non-fiction, personal essays, literary journalism, prose poems, etc. We are excited to provide an environment for undergraduate writers to be published and have their work heard. Submit here! 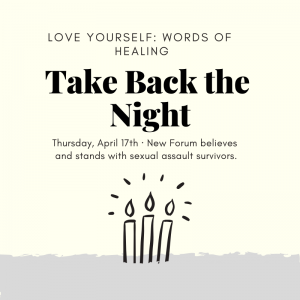 New Forum is proud to announce our involvement with Take Back the Night, an event hosted by UCI Care! 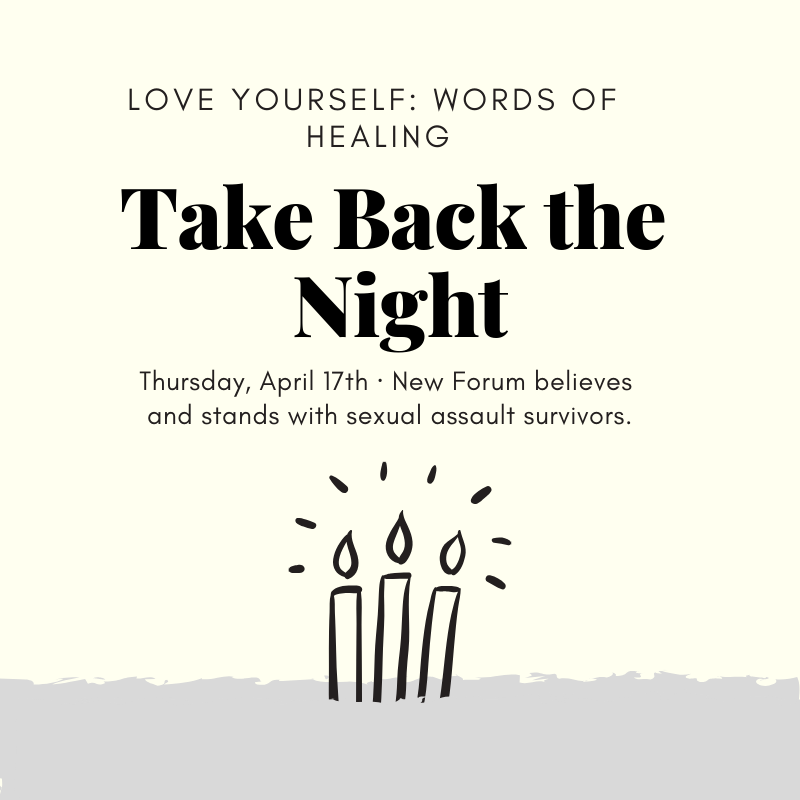 New Forum invites survivors of sexual assault to participate in our night-station, “Love Yourself: Words of Healing!” Participants are encouraged to respond to the phrase, “Love Yourself.” Potential ways they could respond to this is through a love letter addressed to themselves, a short poem, a sentence that describes their hopes for the future, a paragraph in praise of what they’ve accomplished, etc. The only requirement is that writing does not exceed one page, and does not include any form of hate speech (which includes but is not limited to racism, sexism, transphobia, xenophobia). Participants choose to display their name or to be anonymous. We will accept works at the event itself, but will be opening online submissions for people who want to participate ahead of time. Submission link coming soon!